The Microsoft’s Windows Defender Advanced Threat Hunting team detected that a cyber espionage group of hackers, known as PLATINUM, has found a way to turn the Windows's Hotpatching technique (a way of updating the operating system without requiring a restart) to hide its malware from Antivirus products. 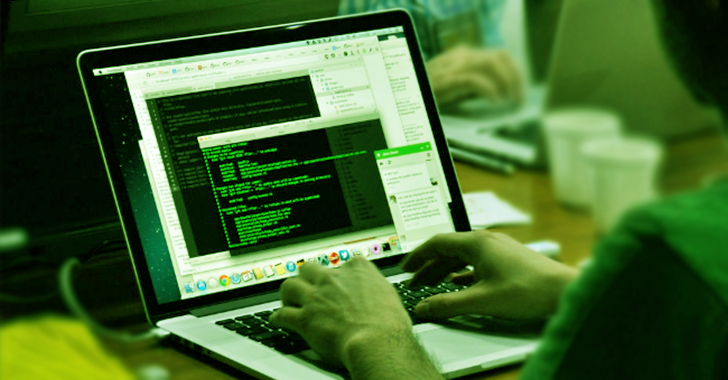 PLATINUM group has been active since 2009 and launching large-scale attacks against governmental organizations, intelligence agencies, defense institutes and telecommunication providers in South and Southeast Asia. 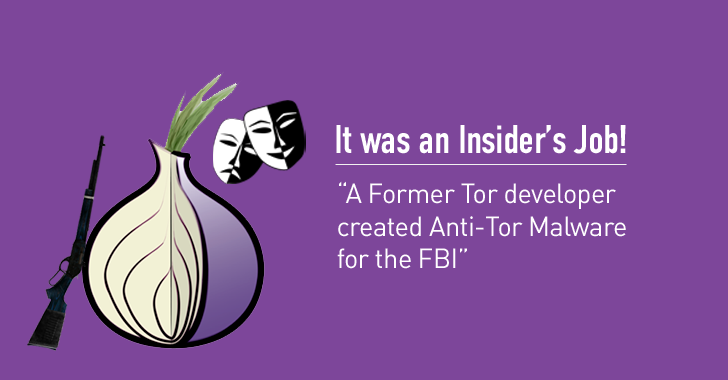 According to an investigation, Matthew Edman, a cyber security expert and former employee of the Tor Project, helped the FBI with Cornhusker a.k.a Torsploit malware that allowed Feds to hack and unmask Tor users in several high-profile cases, including Operation Torpedo and Silk Road. The US Supreme Court has approved amendments to Rule 41, which now gives judges the authority to issue search warrants, not only for computers located in their jurisdiction but also outside their jurisdiction. Under the original Rule 41, let’s say, a New York judge can only authorize the FBI to hack into a suspect's computer in New York. But the amended rule would now make it easier for the FBI to hack into any computer or network, literally anywhere in the world. 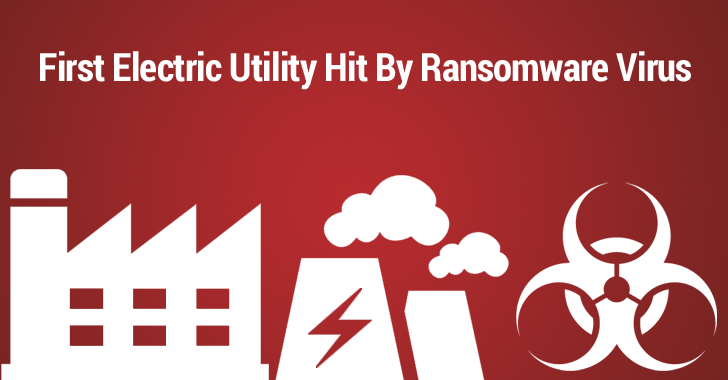 Recently, the American public utility Lansing Board of Water & Light (BWL) has announced that the company has become a victim of Ransomware attack that knocked the utility's internal computer systems offline. Also Read: FBI Suggests Ransomware Victims — 'Just Pay the Ransom'. The attack took place earlier this week when one of the company’s employees opened a malicious email attachment. 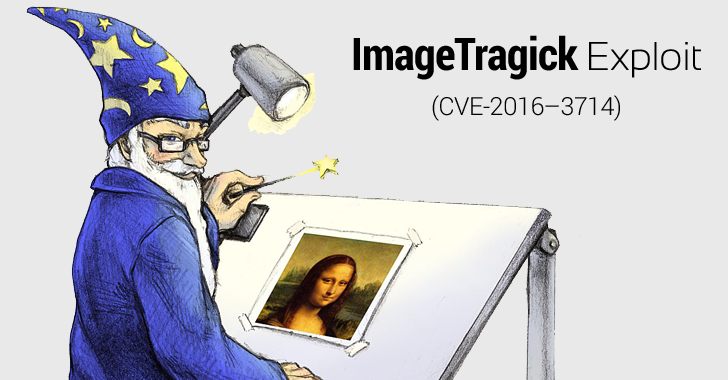 A serious zero-day vulnerability has been discovered in ImageMagick, a widely popular software tool used by a large number of websites to process user's photos, which could allow hackers to execute malicious code remotely on servers. ImageMagick is an open-source image processing library that lets users resize, scale, crop, watermarking and tweak images. The ImageMagick tool is supported by many programming languages, including Perl, C++, PHP, Python, Ruby and is being deployed by Millions of websites, blogs, social media platforms, and popular content management systems (CMS) such as WordPress and Drupal. Slack security engineer Ryan Huber disclosed a zero-day flaw (CVE-2016–3714) in the ImageMagick image processing library that allows a hacker to execute malicious code on a Web server by uploading maliciously-crafted image. 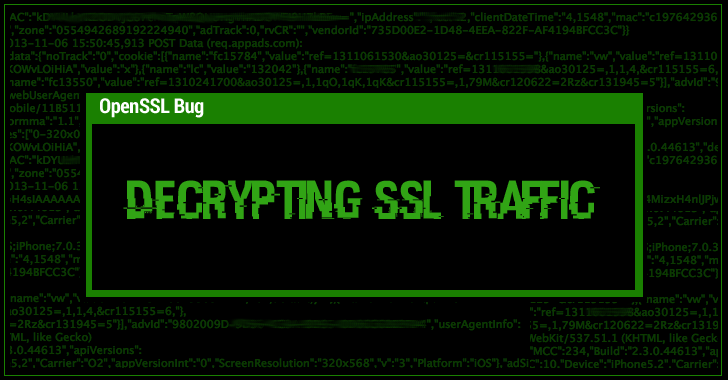 OpenSSL has released a series of patches against six vulnerabilities, including a pair of high-severity flaws that could allow attackers to execute malicious code on a web server as well as decrypt HTTPS traffic. OpenSSL is an open-source cryptographic library that is the most widely being used by a significant portion of the Internet services; to cryptographically protect their sensitive Web and e-mail traffic using the Secure Sockets Layer (SSL) or Transport Layer Security (TLS) protocol. One of the high-severity flaws, CVE-2016-2107, allows a man-in-the-middle attacker to initiate a "Padding Oracle Attack" that can decrypt HTTPS traffic if the connection uses AES-CBC cipher and the server supports AES-NI. Without adequate analysis and algorithms, mass surveillance is not the answer to fighting terrorism and tracking suspects. "The goal of the Enhanced Attribution (EA) program is to develop technologies for generating operationally and tactically relevant information about multiple concurrent independent malicious cyber campaigns, each involving several operators; and the means to share such information with any of a number of interested parties without putting at risk the sources and methods used for collection," reads the project’s official site. In other words, the Enhanced Attribution Program will not only help the government characterize the cyber criminal but also share the criminal’s modus operandi with potential victims and predict the attacker’s next target. Wieder mal zu gut fürs Guinness-Buch der Rekorde . Sometimes you read something and you can't quite believe it and then you read it again and get scared. This is what happened when I read through the United States Government Accountability Office's Report to Congressional Requesters about the need to update aging legacy systems. This report outlines how some of the critical systems in the US government are running on outdated programming languages, hardware, and that the Strategic Automated Command and Control System (SACCS) still uses floppy disks!!!!!!! This aging equipment and software comes with a hefty price tag as its very costly to maintain. In fact, this report shows that of the $80 billion budget allocated to 26 government agencies, 61 billion, or close 76%, of that budget was used towards operations and maintenance. There's nowhere to hide across the web, especially from the marketing and advertising companies. If you are paranoid about your privacy, you may get upset to know that Facebook will now track and deliver targeted Ads on other apps and websites for everyone, even if you do not have Facebook accounts. Until now, Facebook was showing targeted ads only to its users, but now the social networking giant says it needs extra data to make its ads better. Der Passwortmanager KeePass 2 ist potentiell gefährdet, weil der Entwickler sich weigert, eine automatische Update-Routine mit HTTPS besser abzusichern. Die Begründung lautet, Werbeeinnahmen würden mit HTTPS sinken. Somit bleibt KeePass 2 gegen Man-in-the-Middle-Angriffe verwundbar. Beim ersten Start des Open-Source-Passwortmanagers KeePass 2 wird der Anwender gefragt, ob er der Empfehlung nachkommen und den automatischen Update-Check aktivieren möchte. Wird dies bestätigt, werden bis hin zur aktuellen Version 2.33 unverschlüsselte HTTP-Anfragen verwendet, um auf vorhandene Updates zu prüfen. Have you ever suspected that Facebook is listening to your conversations through Microphone? Have you ever felt Facebook is showing you very relevant ads about topics you’re only discussing around your phone? If yes, then you may find this news worth reading. Communications Professor Kelli Burns from the University of South Florida claims that Facebook is listening to all conversations people have while its app is open to serve more relevant ads for products related to what they are talking about. However, the social networking giant responds it does listen to audio and collect information from users, but does not record or use sounds heard around people for targeted ads. "Facebook does not use microphone audio to inform advertising or News Feed stories in any way," a Facebook spokesperson said. "Businesses are able to serve relevant ads based on people's interests and other demographic information, but not through audio collection." Full story - The Hacker News: Have you ever suspected that Facebook is listening to your conversations through Microphone? Blackberry entschlüsselt BBM- und PIN-Nachrichten und liefert zahlreiche weitere User-Daten an ausländische Behörden in aller Welt. Der kanadischen Polizei dürfte Blackberry sogar einen Generalschlüssel gegeben haben. Android Ransomware now targets your Smart TV, Too! Do you own a Smartwatch, Smart TV, Smart fridge, or any Internet-connected smart device? If your answer is yes, then you need to know the latest interest of the cyber criminals in the field of Internet of Things. After targeting hospitals, universities, and businesses, Ransomware has started popping up on Smart TV screens. The Hacker News - Android Ransomware now targets your Smart TV, Too! It's not at all surprising that the Google Play Store is surrounded by a large number of malicious apps that has the ability to gain users' attention into falling victim for one, but this time, it is even worse than most people realize. 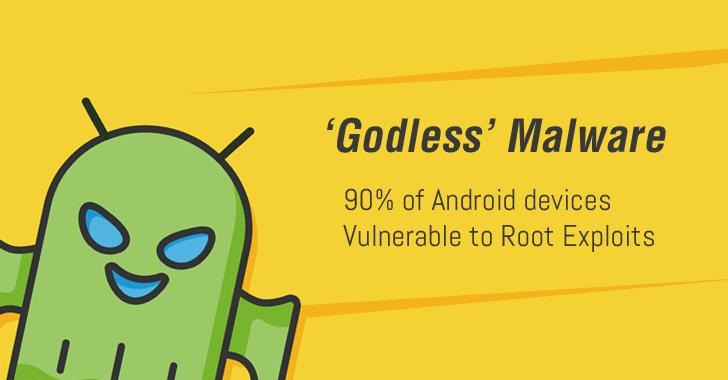 Researchers at Trend Micro have detected a family of malicious apps, dubbed 'Godless,' that has the capability of secretly rooting almost 90 percent of all Android phones. The malicious apps are distributed via different methods and variety of app stores, including Google Play Store, which is usually considered as a safe option for downloading apps. We have heard a lot about ATM skimmers, but it's nearly impossible to spot one. 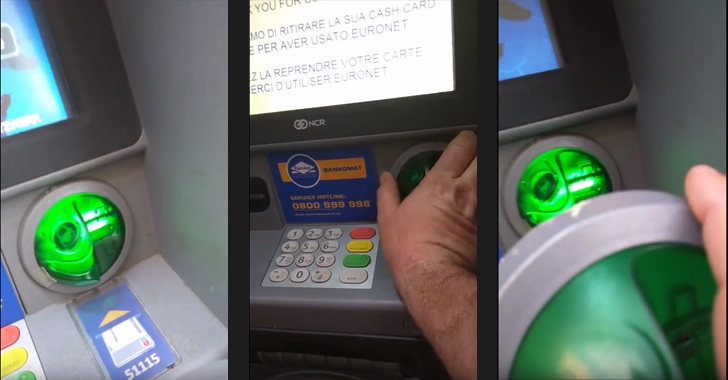 Some skimmers are designed to look exactly like the card slot on the original machine and attached to the front, and others are completely hidden inside the ATM. But, during his vacation in Vienna, Austria, cyber security expert Benjamin Tedesco spotted an ATM skimmer that was totally unrecognizable. 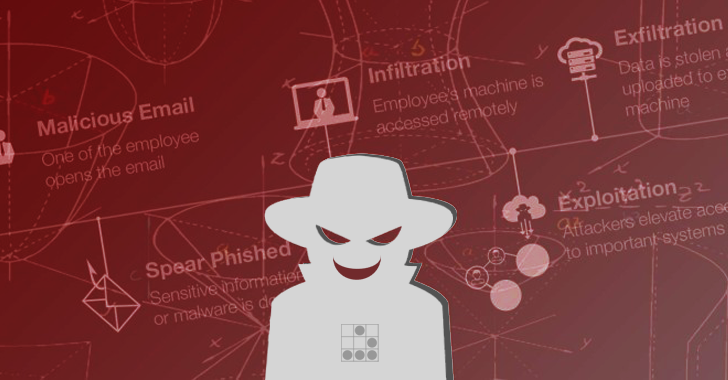 If just relying on the security tools of Microsoft Office 365 can protect you from cyber attacks, you are wrong. 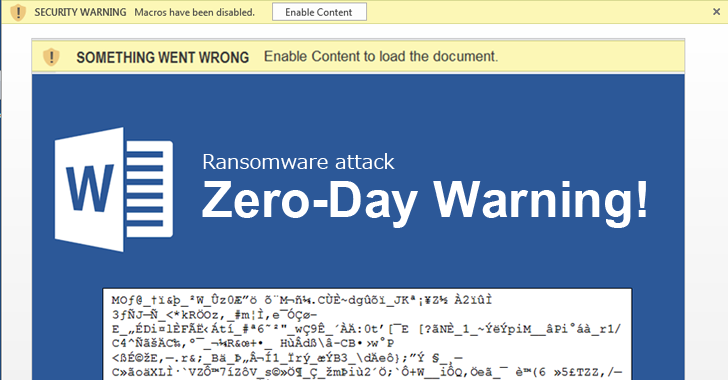 Variants of Cerber Ransomware are now targeting MS Office 365 email users with a massive zero-day attack that has the ability to bypass Office 365's built-in security tools. According to a report published by cloud security provider Avanan, the massive zero-day Cerber ransomware attack targeted Microsoft Office 365 users with spam or phishing emails carrying malicious file attachments. The Cerber ransomware is invoked via Macros. Yes, it's hard to believe but even in 2016, a single MS Office document could compromise your system by enabling 'Macros'. 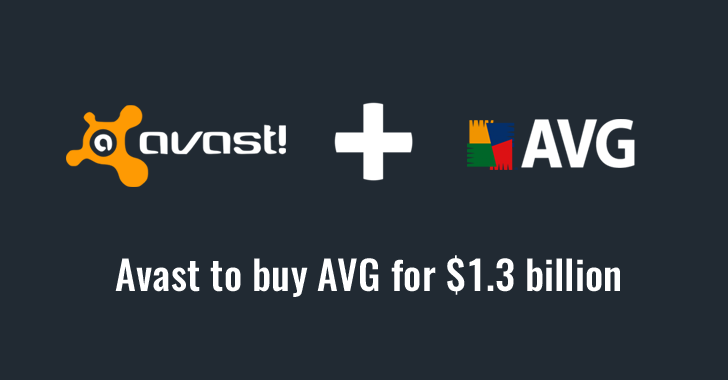 Antivirus company Avast Software is planning to acquire Dutch rival AVG Technologies for $1.3 Billion in cash. Avast announced today that it would buy Amsterdam-based AVG Technologies for $25 per share in an all-cash transaction valued at $1.3 Billion in an aim to expand its presence in the emerging markets. With more than 230 Million users worldwide, Avast provides free and paid security software packages for both PCs as well as mobile devices to businesses and individuals. Vorsicht beim Herunterladen von Pokémon GO-APKs auf Android! Due to the huge interest surrounding Pokémon Go, many gaming and tutorial websites have offered tutorials recommending users to download the APK from a non-Google Play link. In order to download the APK, users are required to "side-load" the malicious app by modifying their Android core security settings, allowing their device's OS to install apps from "untrusted sources." Security researchers have warned users that many of these online tutorials are linked to malicious versions of the Pokémon Go app that install a backdoor on Android phones, enabling hackers to compromise a user's device completely. Security firm Proofpoint has discovered the malicious app, or APK, that has been infected with DroidJack – a Remote Access Tool (RAT) that can hack any Android device by opening a silent backdoor for hackers. 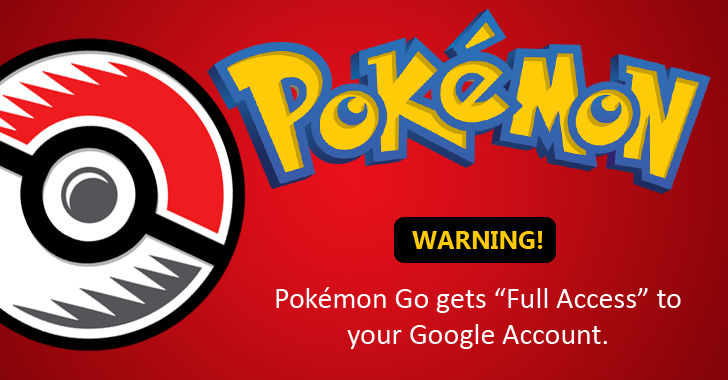 Adam Reeve labeled the game "malware," saying that Pokémon GO is a "huge security risk" as the game, for some reason, grants itself "full account access" to your Google account when you sign into the app via Google on iPhone or iPad. Yes, you heard that right: Full Account Access. "See and modify nearly all information in your Google Account (but it can't change your password, delete your account, or pay with Google Wallet on your behalf)." 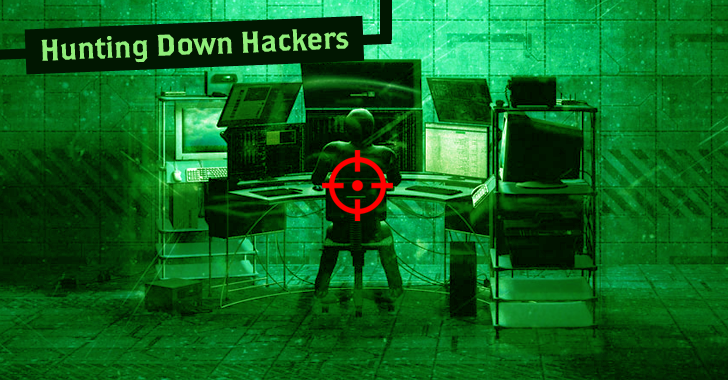 Although TOR is a great anonymous network, it has some limitations that could still allow a motivated hacker to compromise the anonymity of legions of users, including dark web criminals as well as privacy-minded innocents. Moreover, TOR (The Onion Network) has likely been targeted by the FBI to arrest criminals, including the alleged Silk Road 2 lieutenant Brian Richard Farrell, who was arrested in January 2014. Researchers from the Massachusetts Institute of Technology (MIT) and the École Polytechnique Fédérale de Lausanne (EPFL) have created a new anonymity network, which they claim fixes some of Tor's weak points. 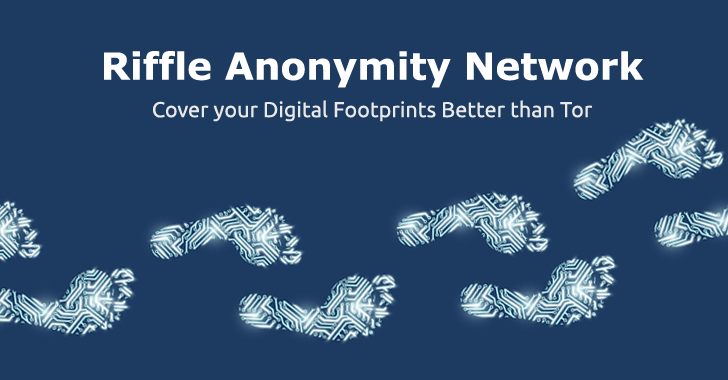 Dubbed Riffle, the anonymity network promises to provide better security against situations when hackers introduce rogue servers on the network, a technique to which TOR is vulnerable. Riffle maintains users' privacy as long as at least one of its server remains safe. 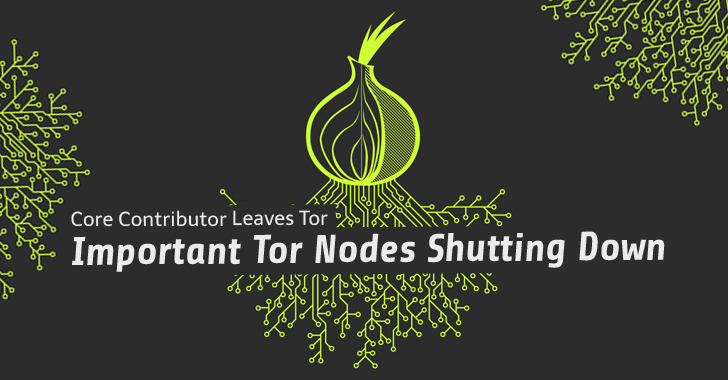 Another blow to the Tor Project: One of the Tor Project's earliest contributors has decided to quit the project and shut down all of the important Tor nodes under his administration. Lucky Green was part of the Tor Project before the anonymity network was known as TOR. He probably ran one of the first 5 nodes in the TOR network at its inception and managed special nodes inside the anonymity network. However, Green announced last weekend that "it is no longer appropriate" for him to be part of the Tor Project, whether it is financially or by providing computing resources. Do you own an iPhone? Mac? Or any Apple device? Just one specially-crafted message can expose your personal information, including your authentication credentials stored in your device's memory, to a hacker. The vulnerability is quite similar to the Stagefright vulnerabilities, discovered a year ago in Android, that allowed hackers to silently spy on almost a Billion phones with just one specially-crafted text message. 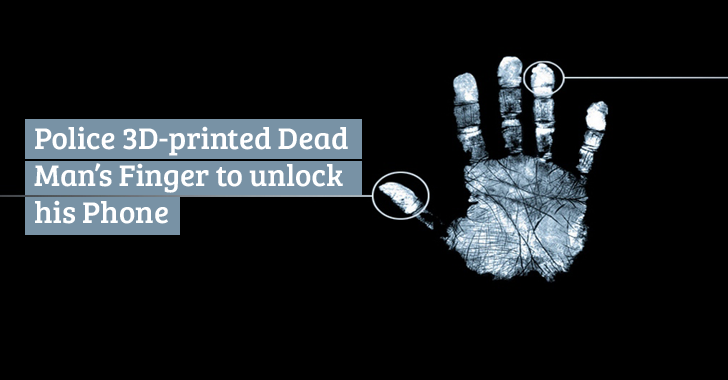 Yes, Police in Michigan is considering 3D printing a dead man’s fingers so they could unlock smartphones in investigation crimes using their biometric sensors. 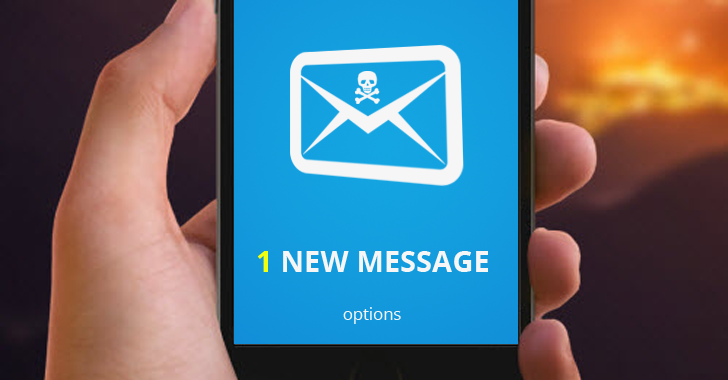 End of SMS-based 2-Factor Authentication; Yes, It's Insecure! SMS-based Two-Factor Authentication (2FA) has been declared insecure and soon it might be a thing of the past. Two-Factor Authentication or 2FA adds an extra step of entering a random passcode sent to you via an SMS or call when you log in to your account as an added layer of protection. "If the out of band verification is to be made using an SMS message on a public mobile telephone network, the verifier SHALL verify that the pre-registered telephone number being used is actually associated with a mobile network and not with a VoIP (or other software-based) service. It then sends the SMS message to the pre-registered telephone number. Changing the pre-registered telephone number SHALL NOT be possible without two-factor authentication at the time of the change. OOB [Out of band verification] using SMS is deprecated, and will no longer be allowed in future releases of this guidance." The Hacker News - End of SMS-based 2-Factor Authentication; Yes, It's Insecure! Radio-based wireless keyboards and mice that use a special USB dongle to communicate with your PC can expose all your secrets – your passwords, credit card numbers and everything you type. Back in February, researchers from the Internet of things security firm Bastille Networks demonstrated how they could take control of wireless keyboards and mice from several top vendors using so-called MouseJack attacks. 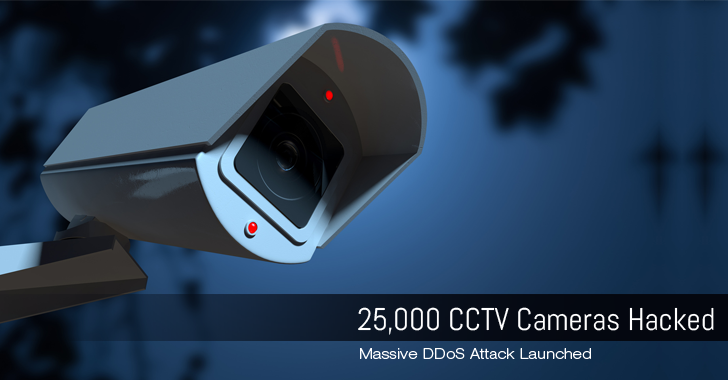 The latest findings by the same security firm are even worse. Researchers have discovered a new hacking technique that can allow hackers to take over your wireless keyboard and secretly record every key you press on it. Dubbed KeySniffer, the hack is death for millions of wireless, radio-based keyboards. Is my smartphone battery leaking details about me? Forget about supercookies, apps, and malware; your smartphone battery status is enough to monitor your online activity, according to a new report. In 2015, researchers from Stanford University demonstrated a way to track users' locations – with up to 90 percent accuracy – by measuring the battery usage of the phone over a certain time. The latest threat is much worse. Was Apps nicht alles für Informationen und Berechtigungen brauchen ... verwundert mich immer wieder. If you think that the HTTP/2 protocol is more secure than the standard HTTP (Hypertext Transfer Protocol), then you might be wrong, as it took researchers just four months to discover four flaws in the HTTP/2 protocol. HTTP/2 was launched properly just in May last year after Google bundled its SPDY project into HTTP/2 in February in an effort to speed up the loading of web pages as well as the browsing experience of the online users. 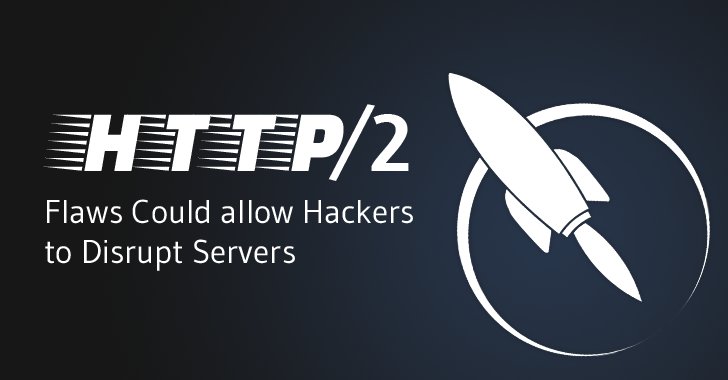 Now, security researchers from data center security vendor Imperva today at Black Hat conference revealed details on at least four high-profile vulnerabilities in HTTP/2 – a major revision of the HTTP network protocol that the today’s web is based on. The vulnerabilities allow attackers to slow web servers by flooding them with innocent looking messages that carry a payload of gigabytes of data, putting the servers into infinite loops and even causing them to crash. Forget about security! It turns out that the Chip-and-PIN cards are just as easy to clone as magnetic stripe cards. It took researchers just a simple chip and pin hack to withdraw up to $50,000 in cash from an ATM in America in under 15 minutes. We have been told that EMV (Europay, MasterCard and Visa) chip-equipped cards provides an extra layer of security which makes these cards more secure and harder to clone than the old magnetic stripe cards. But, it turns out to be just a myth. 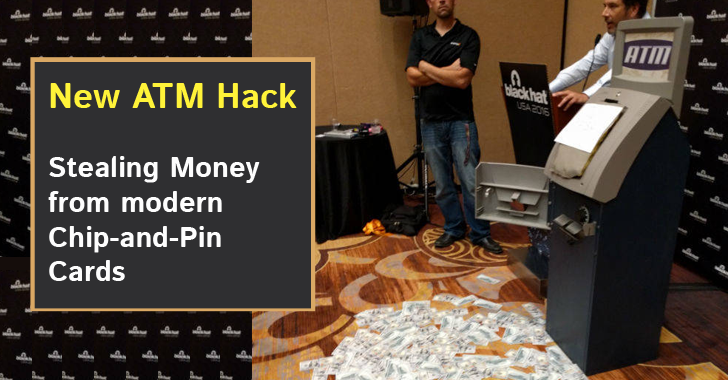 A team of security engineers from Rapid7 at Black Hat USA 2016 conference in Las Vegas demonstrated how a small and simple modifications to equipment would be enough for attackers to bypass the Chip-and-PIN protections and enable unauthorized transactions. The demonstration was part of their presentation titled, "Hacking Next-Gen ATMs: From Capture to Washout," [PDF]. The team of researchers was able to show the audience an ATM spitting out hundreds of dollars in cash. Eine Hackergruppe hat im Iran rund ein Dutzend Konten des verschlüsselnden Messengers Telegram abgehört, wozu vermutlich die Mithilfe eines iranischen Mobilfunkproviders vonnöten war, wie Reuters berichtet. Dabei wurde nicht etwa die Verschlüsselung geknackt, sondern das Konto angegriffen: Die Angreifer haben die Bestätigungs-SMS abgefangen, die Telegram bei der Installation der App ans Smartphone sendet. Damit gelang es den Hackern, weitere Geräte mit dem Konto zu verbinden und somit alle Nachrichten abzuhören und eigene zu schreiben. Diese Art von Angriffen ist immer dann möglich, wenn die Hacker mit einem Mobilfunkprovider zusammen arbeiten, etwa die Geheimdienste in totalitären Staaten.